Imperial College London studies have shown that cold-formed steel sheet piles retaining wall from the excavation face or excavation near the single support constraints, when the earth pressure and the traditional limit equilibrium method to calculate the earth pressure is different. The traditional calculation method assumes that the failure mode of the retaining structure located near the top or near the top assumes that the earth pressure distribution on the pile is also assumed when the wall rotates from the toe to the toe in the forward direction. The failure mode of the low support wall is that the pile top moves in the soil direction, and the pile similar to the support point of the cantilever wall will move to the soil. This results in a dynamic ground pressure on the wall and an active ground pressure on the wall. In the design of retaining walls with low support, two basic requirements must be met: the first support must have sufficient rigidity to act as a fulcrum to avoid wall advancement here; secondly, the steel sheet piles wall must be able to resist The bending moment caused by the support is to ensure that the sheet pile rotates rather than buckling. 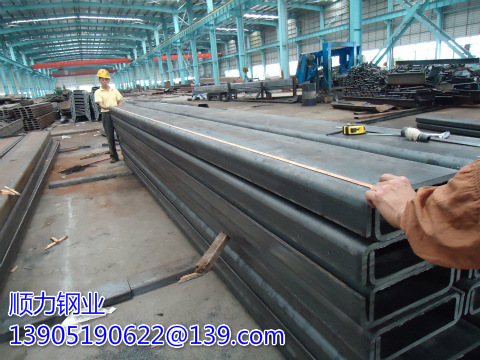 According to the Imperial College study, we suggest that in the calculation of earth pressure below the support point, suppose that the upper part of the support point and the Steel sheet piles is the active earth pressure, the passive earth pressure at the toe between the pile varies linearly. If the depth of the ground support is greater than 2/3 of the retaining height is considered to be low support: low support wall design is very complex, it is recommended to use this structure in the design of soil structure interaction analysis.